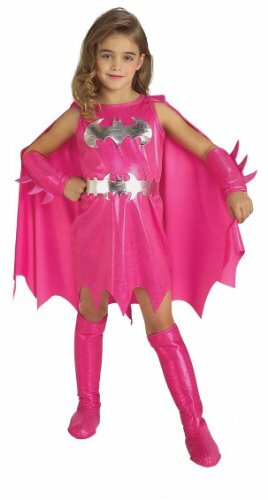 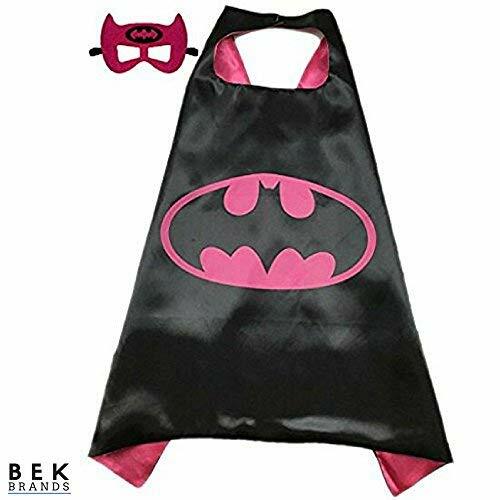 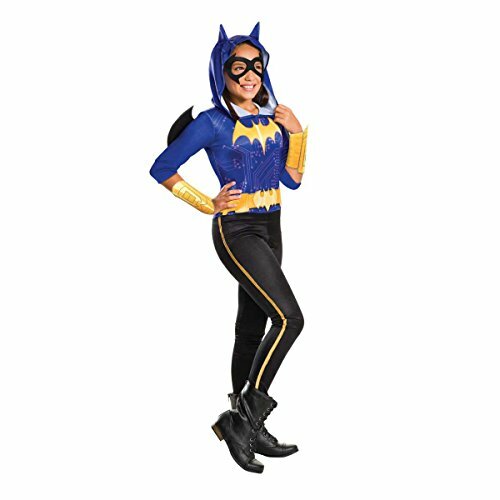 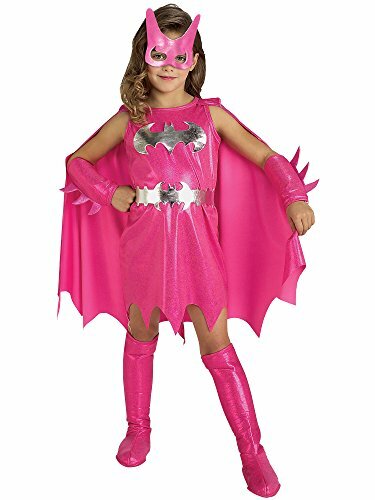 This Batgirl costume is perfect for trick or treating through the depths of Gotham City! 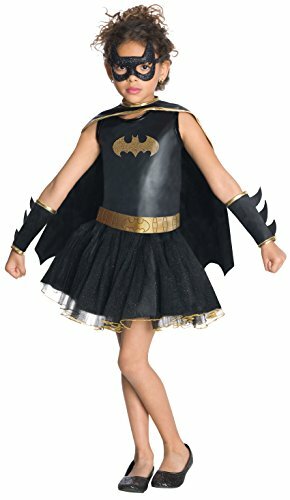 This all black, faux polished leather dress has a yellow bat logo on front and attached cape. 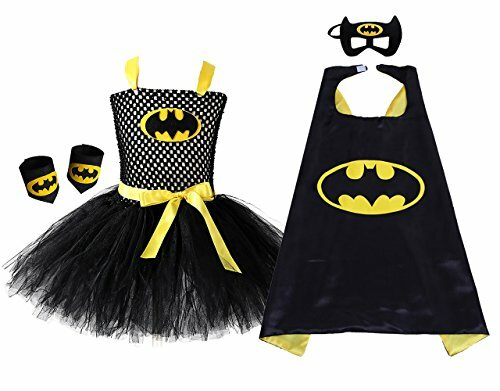 Also included are shiny black boot tops, bat mask, yellow belt and gauntlets.